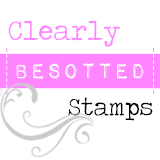 Welcome to day 2 of the Clearly Besotted sneak peeks of the January release! If you missed yesterday's 'hoppy' sneak peek you can check it out here. All of these goodies will be available to purchase from 10pm (GMT) 5th January. In order to stamp the cats in a straight line, I lightly drew a line across the card front as a guide. If you've got an acrylic block long enough you can position the stamps on the card front and pick them up together onto the block. It means you only have to stamp once too! I wanted to show that these cutie-patootie sets are not only for colouring. I think they look fab as an outline image, but if you wanted to add some colour and you're not confident at colouring you could aways paper-piece them. 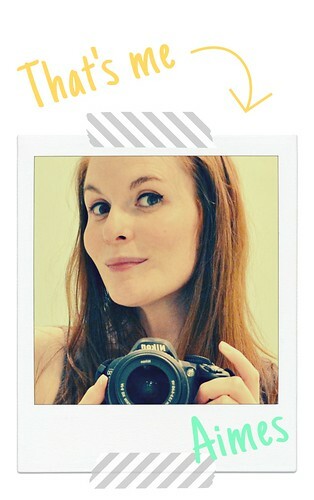 I rounded the top two corners of the card to complement the circular sentiment. It's just a little finishing touch that adds a bit of interest. Well I think that I'm almost out of puns for now, so if you've not hopped across here from Stephanie's, then take a peek over there because not only does she have gorgeous samples to tease you with, but there's links to everyone else on the Design Team sharing inspiration galore with January's release! As always, thank you so much for stopping by here today! The cats look so cute in pink! 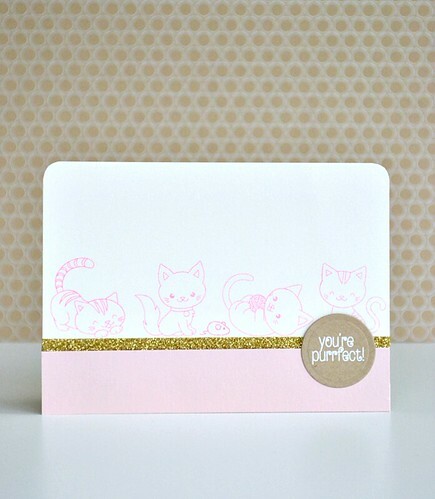 This is so cute, I love Clearly besotted stamps and this has definitely jumped to the top of my "Must Have" list!